Toyota adds hybrid technology to its updated RAV4 crossover. Good: improved looks, spacious interior. Not so good: not all that fuel efficient, lack of plug-in technology. As there are still only a relatively small number of hybrid crossovers on the market, the Toyota RAV4 Hybrid doesn't face too much competition. Options are limited to the plug-in hybrid Mitsubishi Outlander PHEV and the new Kia Niro, the latter of which is a conventional hybrid like the Toyota. The RAV4 Hybrid uses a 2.5-litre petrol engine combined with two electric motors, one on each axle. This set up gives the RAV4 Hybrid all-wheel drive, although there is no mechanical link between the two axles; the Toyota's electronic software controls power distribution. You won't find an array of terrain modes to choose from, but you can select an EV Mode that enables the Toyota to drive solely under electric power, albeit for only a short distance - the most we could achieve was a couple of kilometres. That might sound disappointing, but the hybrid battery setup in the RAV4 is not designed for enabling electric-only driving for any great distances. It is more about working in tandem with the petrol engine and reducing its fuel consumption where possible. Around town, the electric motors ease the RAV4 away from traffic lights before the petrol engine kicks in, in theory reducing fuel consumption and emissions. Providing you're gentle with the throttle pedal, when the combustion engine does start up, it is not all that noticeable. You do notice a bit more of a pick up in pace when petrol power kicks in, too. It works well, but as promising as all this might sound, in town driving, the fuel economy we achieved was little different to what we'd expect from a diesel-engined equivalent. Toyota's choice of continuously variable transmissions (CVTs) for its hybrid models has often been criticised due to the seeming lack of responsiveness when driven faster. In truth, when you drive the RAV4 Hybrid at urban speeds in traffic the transmission gives no real cause for complaint. It's out of town and on more open roads that the RAV4's performance begins to feel less impressive. Granted it is tuned more towards economy than outright performance, but with a 2.5-litre petrol engine and 197hp on tap, you expect more. It's not all bad for this latest RAV4 though. The exterior does look smarter than before, especially in this Luna Sport specification, which includes black 18-inch machined-face alloy wheels. Inside, it looks just as stylish with Toyota now paying much more attention to both the look and feel of the cabin's surfaces. Most of the controls are intuitive and easy to use while driving, too. The seven-inch Toyota Touch 2 infotainment screen is clear and can also display the real-time operation and status of the hybrid system - something that can prove strangely captivating to watch in traffic. The only part of the interior that looks out of place compared with the rest of the car is the automatic transmission's gear selector. Its operation is easy and feels robust, but it looks like a left-over from an automatic gearbox pre-dating the Nineties. Whereas the company's latest Prius has proven to be hugely impressive, we're disappointed that the same fuel-saving performance does not transfer across to the high-riding RAV4. It matches its diesel sibling in real world consumption and there is a €70 difference in annual road tax, but an €8,000 price difference (taking the entry level prices for diesel and hybrid into account) could be an obstacle too big for many. If you're set on going down the hybrid route none of the numbers will make a difference, though, and fuel consumption figures aside the RAV4 Hybrid does deliver a quiet, somewhat refined driving experience. 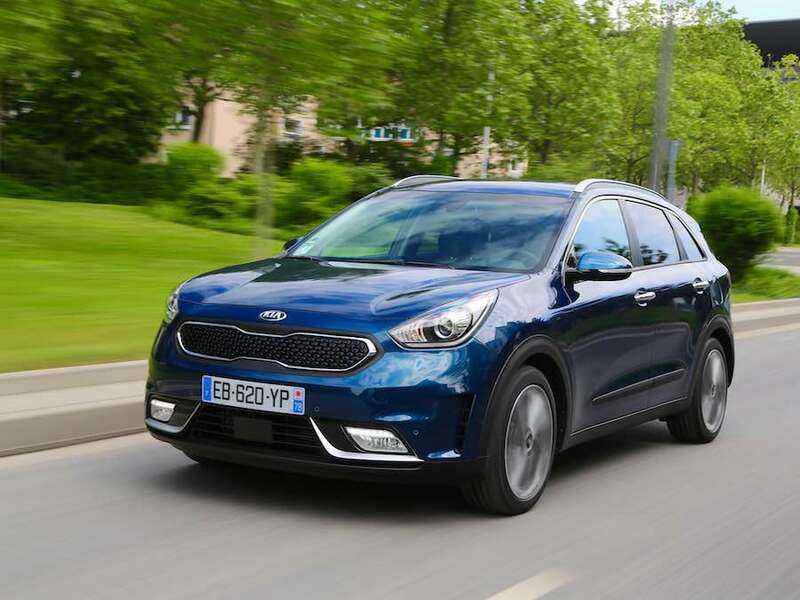 Kia Niro vs. Toyota RAV4 Hybrid: more crossover than SUV, it looks good and is claimed to be more fuel efficient than the RAV4. 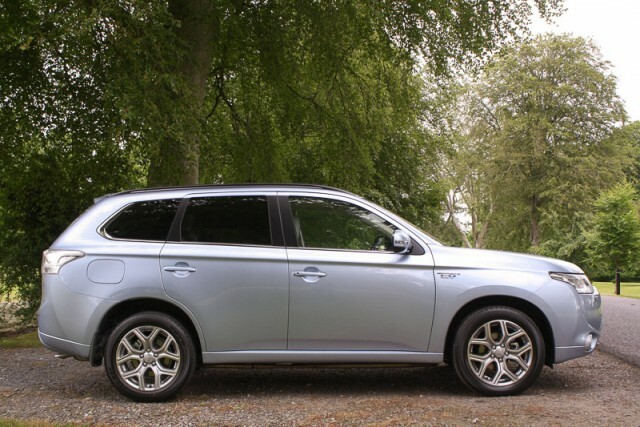 Mitsubishi Outlander PHEV vs. Toyota RAV4 Hybrid: refreshed styling gives the Outlander much more appeal, as does the ability to plug it in to charge up the battery. 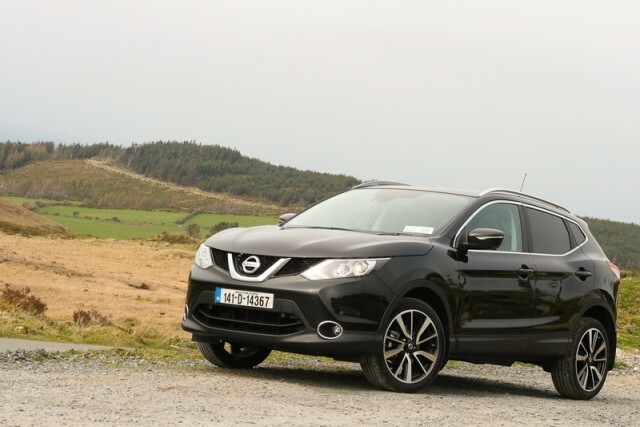 Nissan Qashqai vs. Toyota RAV4 Hybrid: no hybrid option available here, but it remains one of the best-selling models in the class.